Wild Blackberry and Coffee Truffles. A collaboration between Fresco Chocolate and Chocolate Necessities. There is nothing like a great limited edition find, even in chocolate. Yet another reason to go to Chocolate Festivals! You'll find limited edition chocolates offered. Tonight I'm tasting a limited edition collaboration between Fresco Chocolate and Chocolate Necessities found at the Northwest Chocolate Festival. 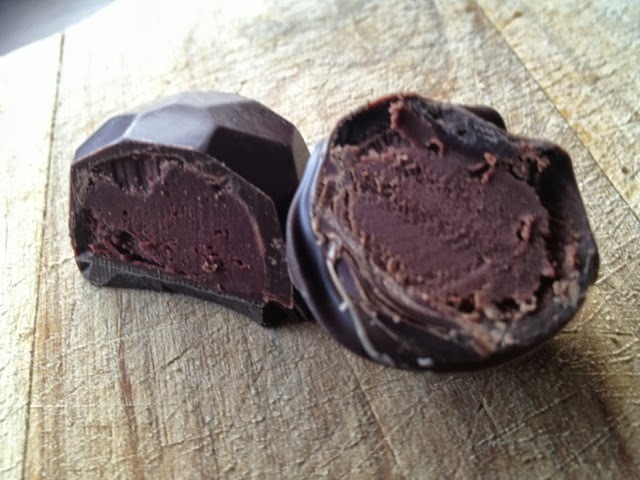 A wild blackberry truffle, made from the tiny very sweet blackberries that are so very difficult to find, paired with a coffee truffle. Kevin refers to it as pie and coffee. 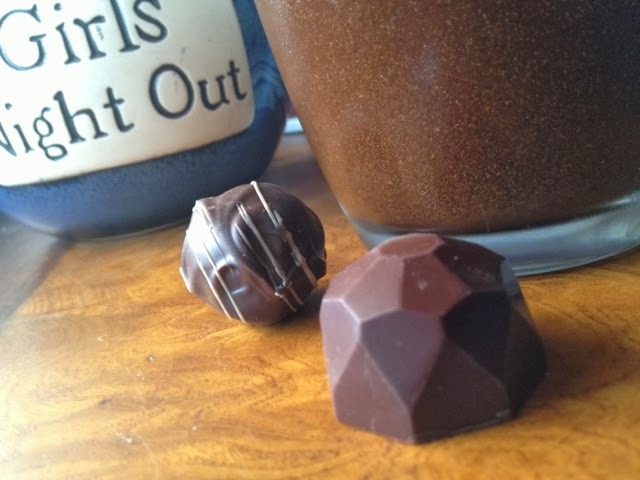 Wild Blackberry on the left, coffee truffle on the right by Chocolate Necessities. You can actually taste the Fresco chocolate used to make these. The wild blackberry flavor was incredible. These may never be made again because the tiny berries are so difficult to find and so time consuming to pick if you do find them. P.S. You are lucky that there are photos.